The great Muhammad Ali failed to do it, Sugar Ray Leonard failed to do it, George Foreman also came up short. While the greatest boxer of all time, Sugar Ray Robinson, failed to tick this particular box himself. 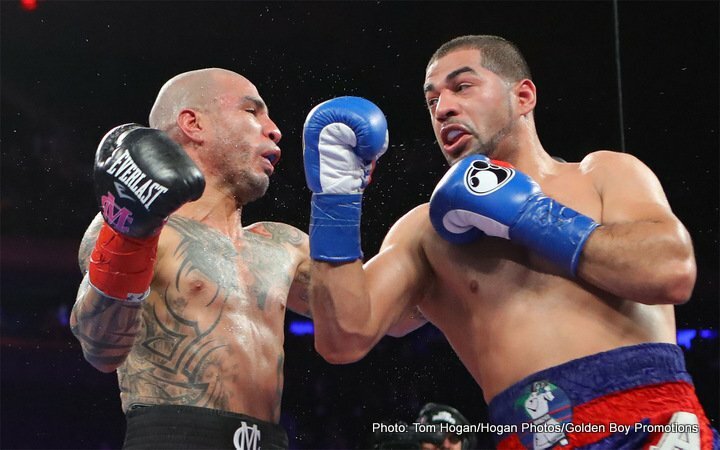 And on Saturday night in New York, Miguel Cotto’s name was added to the long, long list of great, great fighters who were unsuccessful in their attempts at going out as a winner in their final fight. Of course, if all of the above fighters had actually won their ‘final’ fight, chances are huge it would not have been their ‘final’ fight – Cotto aside. For as long as a great, or once-great fighter is still capable of winning, he continues fighting; looking for one more shot at glory (again, Cotto aside – Miguel having decided a while back that December 2 would mark his final entrance into the prize ring whatever the outcome). It really has proven an elusive task for the greatest of the greats to go out a winner. Like no other sport you can list, boxing is an utterly addictive one; hopelessly so in the case of the above legends and oh, so many more: Joe Louis, Mike Tyson, Bernard Hopkins, Julio Cesar Chavez, Erik Morales, Wladimir Klitschko, Nigel Benn, Chris Eubank, Iran Barkley, Jim Corbett and so, so many others – all from different eras of pugilism – all going out with the bitter taste of defeat in their mouths. At least with Cotto, he is going out fine, on his own terms, not in need of money, not pining for unachieved glory. But, quite sadly, Cotto is one of the exceptions. Truly special fighters from yesteryear have been forced to fight on when past their best, either due to a need for money or due to the possession of a tremendous ego that forces the search for one more glorious night or fight. Imagine if you can, great fighters like Gennady Golovkin, Terence Crawford, Vasyl Lomachenko, Canelo Alvarez, Floyd Mayweather, Errol Spence and Mikey Garcia attempting to fight on when way past their best, when either deluded or in a desperate need of funds. It’s a sad thought indeed, but one we have all seen come true too many times before. Sadly, there are a precious few Lennox Lewiss, Andre Wards, Rocky Marcianos and Miguel Cottos in this, the most unforgiving of sports.